The 10th best pizza in Europe can be had in Antwerp, according to travel website Big 7 Travel. 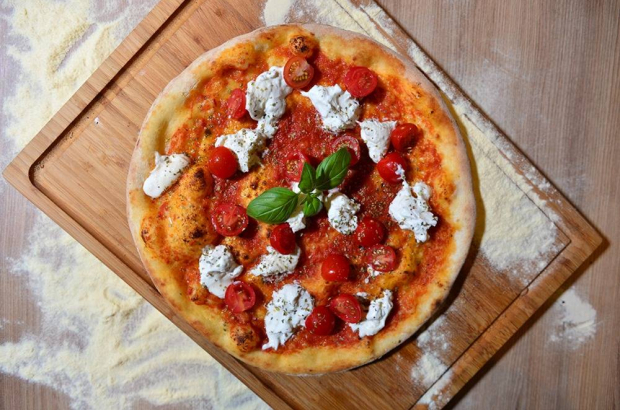 The website compiled a list of Europe’s 50 best pizza places, and Del Popolo, just down the street from the city’s Central Station, came in at number 10. Big 7 editors compiled finalists from every country in the EU. It then opened them up to a vote among Big 7 readers and a panel of food experts. It weighed those results against online reviews both amateur and professional in order to compile the list of 50. Del Popolo make Sicilian-style pizza, which means a thick crust. The pizzeria makes its own dough, which is flipped into the air as you watch, and uses only locally sourced ingredients. It is a huge space with loads of seating inside and out on the busy Keyserlei. If you’re on your own, don’t hesitate to head to the back where a bar-style table circles a live tree. Del Popolo also does takeaway and delivery through Deliveroo. The best pizza in Europe, by the way, according to Big 7, is L’Antica Pizzeria da Michele in Naples, Italy. Naturally.